"Their case for whether or not to go in December could be made or lost with the October employment report," said a senior economist at Moodys Analytics Inc.
(Bloomberg) — To say the October payrolls report will be closely watched across the world would be an understatement. It’ll be monumental. After Friday’s release, Federal Reserve policy makers will have only one more jobs report in hand — the November data — before their final meeting of the year on Dec. 15-16. 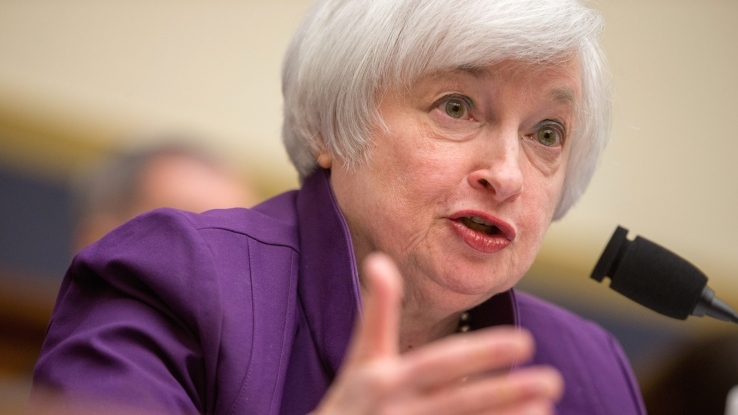 That’s when they may decide on the first interest-rate hike in almost a decade. A couple soft payrolls performances could prompt the Fed to keep the rate near zero, where it’s been since 2008. “Their case for whether or not to go in December could be made or lost with the October employment report,” said Ryan Sweet, a senior economist at Moody’s Analytics Inc.
America’s jobs engine sputtered in August and September amid financial-market turmoil and concern that a hard landing in China could spill over into emerging economies. The key question is: Was that weakness in hiring temporary, or the start of a downshift? Last month’s report may hold the answer. Employers probably added about 180,000 workers in October, according to the median forecast in a Bloomberg survey of economists. With September’s 142,000 gain and August’s 136,000 increase, the average for those two months was only 139,000. In the first half of this year, the average was 213,000. It was 260,000 for all of 2014, which was the best year for hiring since 1999. So revisions matter, more than ever, and many economists expect to find better readings on the prior two months. The median forecast in the Bloomberg survey calls for the unemployment rate to fall to 5 percent, the lowest since April 2008. It’s inching closer to the 4.9 percent rate that Fed officials consider consistent with full employment, or the level below which inflation pressures start to build. The unemployment rate may be understating how much slack remains in the labor market. Yellen has said she watches measures such as part-time workers who would prefer full-time jobs, as well as the participation rate, which shows the share of working-age people in the labor force. With all eyes on the October payrolls number and prior months’ revisions, wages may garner a tad less attention this time, although they’ll certainly be monitored. Job-market watchers have been frustrated as a significant pickup in worker pay has been elusive. Average hourly earnings have been stuck in a narrow range around 2 percent since the expansion began in June 2009. The Bloomberg survey median forecast calls for a 2.3 percent advance in the 12 months ended in October, which would be the strongest reading since May, after three months of 2.2 percent gains.